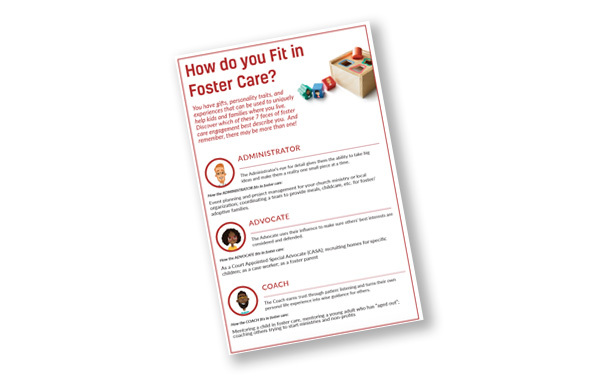 How do you fit in Foster Care? You have gifts, personality traits, and experiences that can be used to uniquely help kids and families where you live. Discover which of these 7 faces of foster care engagement best describe you. And remember, there may be more than one!